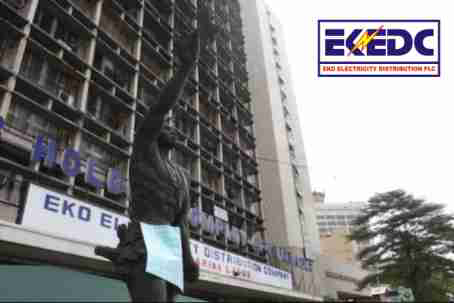 The Eko Electricity Distribution (EKEDC) onTuesday announced an impending power outage that would affect consumers in Lagos Island, Victoria Island, Ikoyi, Lekki, Ajah, Ibeju-Lekki and their environs. Mr Godwin Idemudia, the General Manager, Corporate Communications, EKEDC, in a statement in Lagos, said the outage is to enable Transmission Company of Nigeria (TCN) to carry out routine maintenance work on some of its vital facilities servicing the area. According to the General Manager, the outage, which is scheduled to take place every Tuesday and Thursday for the next five weeks, will last for four hours on each day of the maintenance work.“In order to minimise the effect of the planned outage on the company’s customers, back-feeding arrangements have been put in place from Ijora Transmission station to Alagbon Transmission Station. “We appeal to all residents that will be affected by the planned outage to please bear with the situation,” he said.Idemudia assured the consumers in the affected areas that the maintenance work would lead to better services to all customers.